Free street parking is available throughout Avila Beach. San Juan Street, 1st Street, San Francisco Drive, and Avila Beach Drive are nearest to the aquarium. During the summer months parking can become competitive, so we recommend coming early before the spaces fill up. Alternatively guests can park at the public lot located on 1st Street (cost is $6 per day), or ride on the free Avila Trolley. More information on the Avila Trolley can be found at the Regional Transit Authority Website or the Avila Beach Pier Public Parking website. 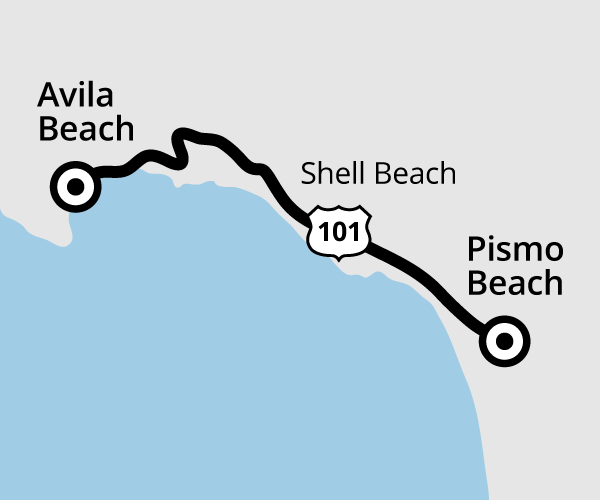 More information on the Avila Trolley can be found at the Regional Transit Authority Website or the Avila Beach Pier Public Parking website.